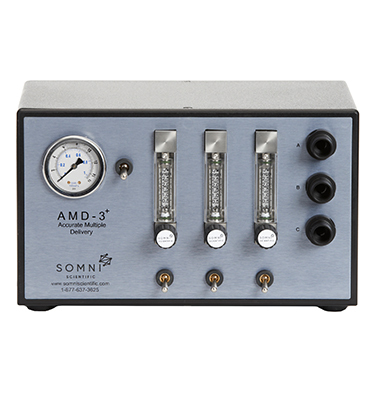 Somni Scientifics AMD-3+ (Accurate Multiple Delivery) is the ultimate in Inhalant Anesthesia gas delivery. 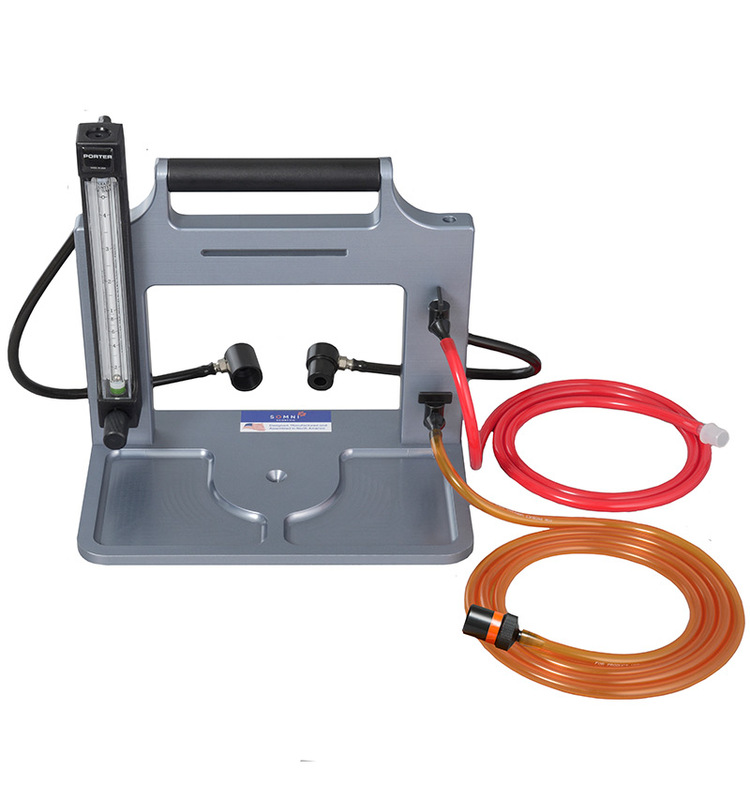 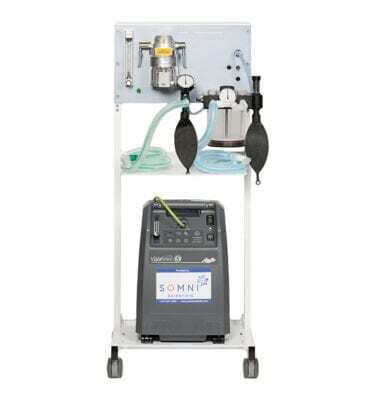 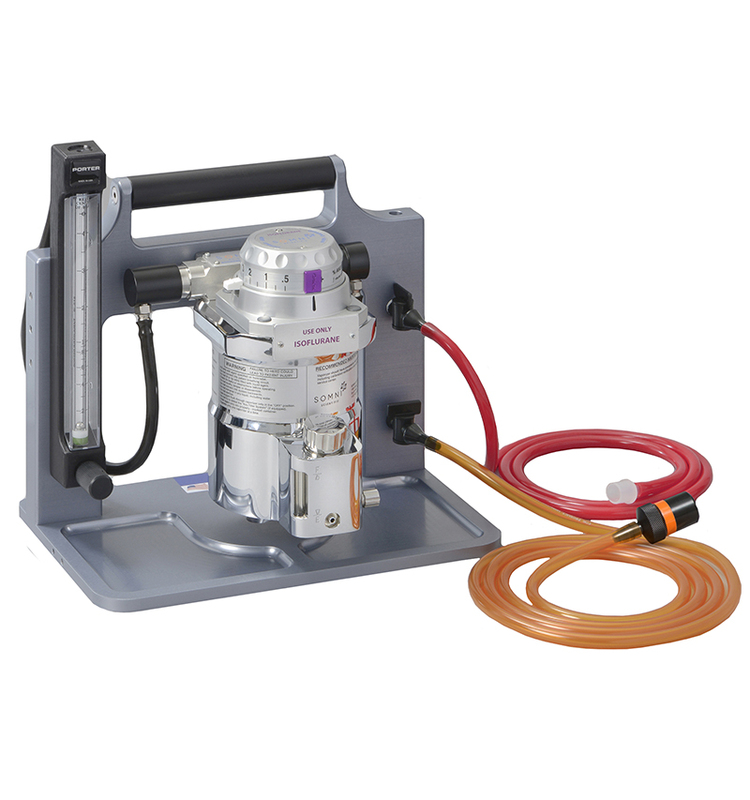 This pressurized anesthesia system can deliver accurate adjustable flowrates to 3 stations simultaneously. 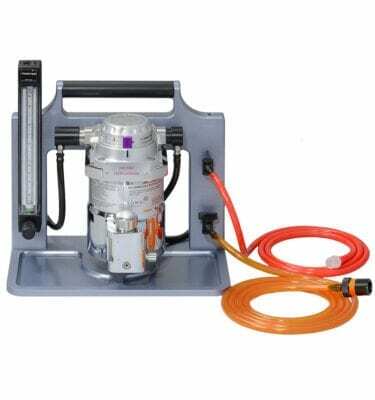 Each station is equipped with a flowmeter and toggle switch that allows the user to leave flows preset or adjust to their needs. 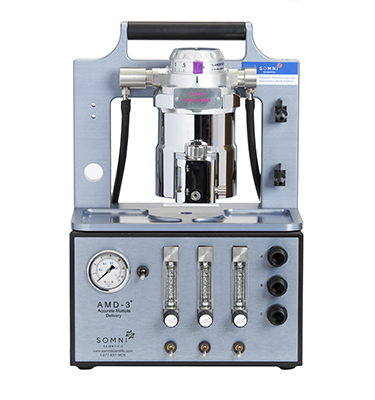 Unlike any other system on the market this allows users the greatest flexibility for their procedures. 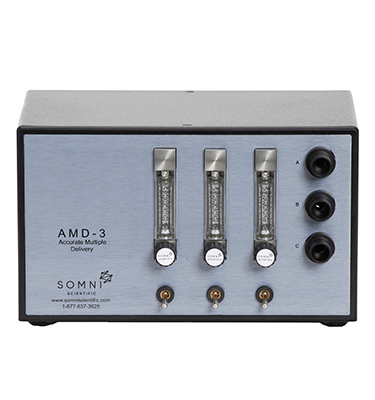 Any combination of Nose Cones, Induction Chambers, Stereotaxic or Imaging device can be used with the AMD-3+.